The museum is located within St Mary's Church. 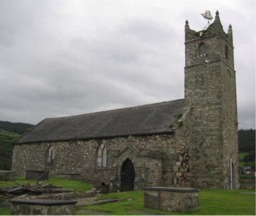 Whist the church was rebuilt between 1825-1827, it was founded during the 6th century. The old church houses a unique collection of maritime artefacts which tell the story of the ships that were built locally, the sailors and captains. In the graveyard surrounding the church are just some of the many graves of thee sailors and captains, from Nefyn and the surrounding area. A survey and register of these graves has been undertaken by Gwynedd Family History Society (Register Number M146).